Doing another post! I’m a bit nervous… a bit excited… I’m getting mixed feelings as I write. Honestly I don’t know how to start this, but I’ll do my best. 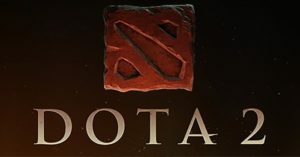 So, Defense Of The Ancients 2 or commonly known as DOTA 2 is a multi-player online battle arena game. The game’s popularity is so big that it accumulated the largest prize pool in eSports community in the past years. I remembered my very first match in the year 2012, but before that, I registered my account through Steam and activated my DOTA 2 game using a beta-key my friend gave me (for free! ), boy I was lucky, being a pioneer who played the game first in it’s beta state. I also recalled how I needed to download that heavy file into the computer just to start it, it was agonizing to wait because it took hours but it was worth it. After the game was ready to play, I was so excited to click on “Find Match” for the system to organize 2 teams to compete with another team, which makes this game a 5 vs 5 match. I picked Mirana and started playing. The objective of the game is to destroy the opposing enemy’s ancient structure, the map has 3 lanes in which consists of 3 tier towers and two barracks (melee and range). In order to penetrate through the enemy’s ancient, you need to gain experience and level up the hero you choose from the start of the game also earning gold in the process to buy items for you hero, and earn more gold to purchase recipes or combine items to “upgrade” your current held items, (because you can only carry 6). Once the enemy’s ancient is destroyed, the game is ended with you being victorious, but be wary, enemies may have gained level and earned gold faster than you and might end the game before you can even defend. Pretty much basic, I’m not being lazy for not writing but if you have played real-time strategy games, like Warcraft, Starcraft, Red Alert 2 and other strategy games, it’s easy. Because you only control mostly your own hero. I think I’ve covered the MOST important parts of this game. To end this, I’d like to recommend this game for it’s good gameplay and popularity. I hope you liked my post! I’m sure I’ll improve in the future of simplifying this long paragraph. ‘Till next time!